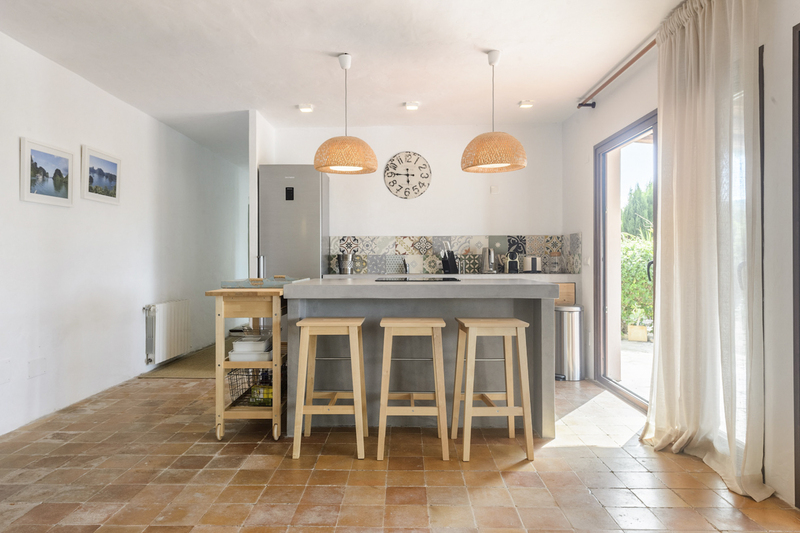 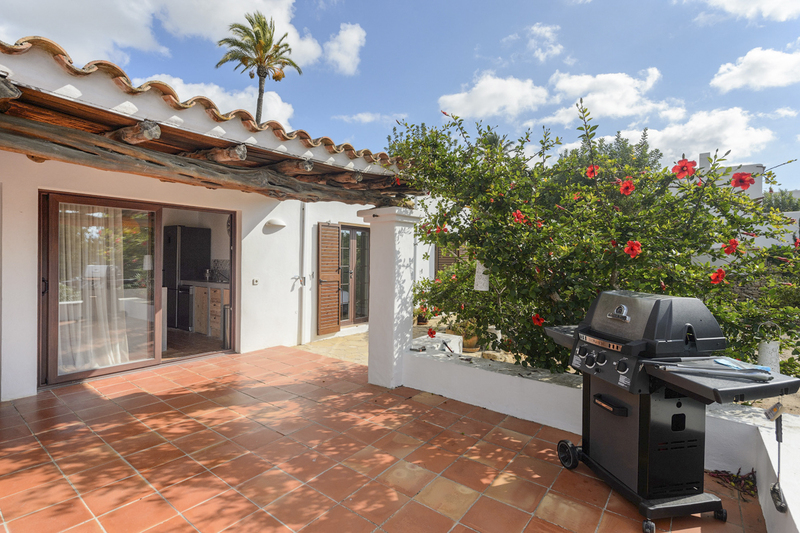 Casa Myla is situated in the peaceful residential area of Can Furnet, just fifteen minutes from buzzing Ibiza town and the idyllic and picturesque bay of Talamanca. 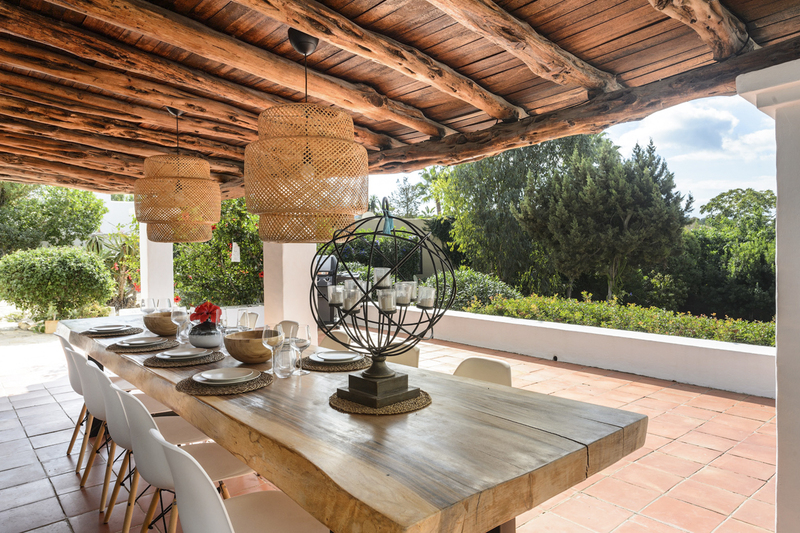 The villa would make the perfect choice for families in search of a relaxed break in a quiet spot while still being in easy reaching distance of all the lights, sights and sounds of the magical island of Ibiza. 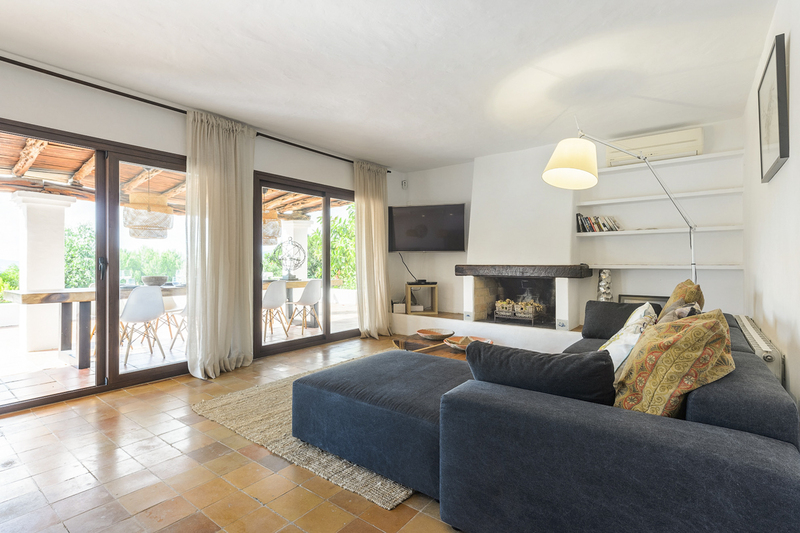 The traditional villa has been beautifully and tastefully modernised with high attention to detail and today boasts light and bright interiors and contemporary furnishings. 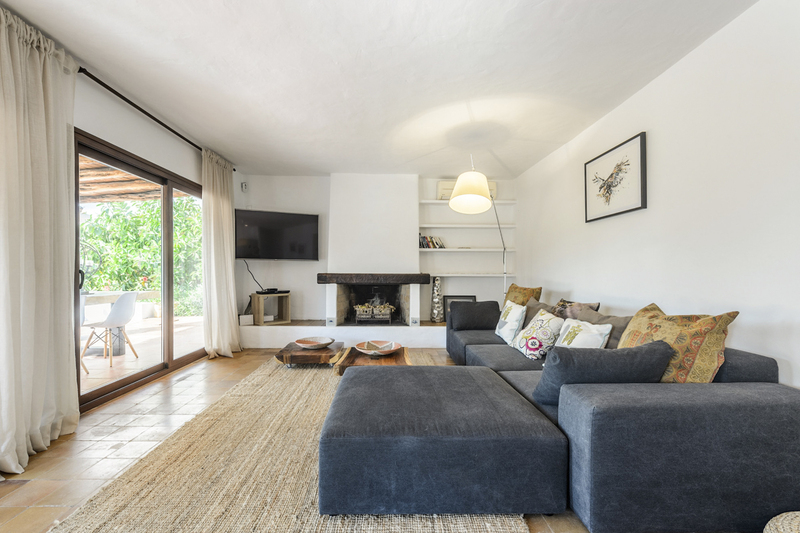 The entertaining space is open-plan and inviting, boasting a fully-equipped kitchen with breakfast bar dining facilities and a cosy living room area with comfy corner sofa, perfect for chilling out after a busy day spent having fun on the beach! 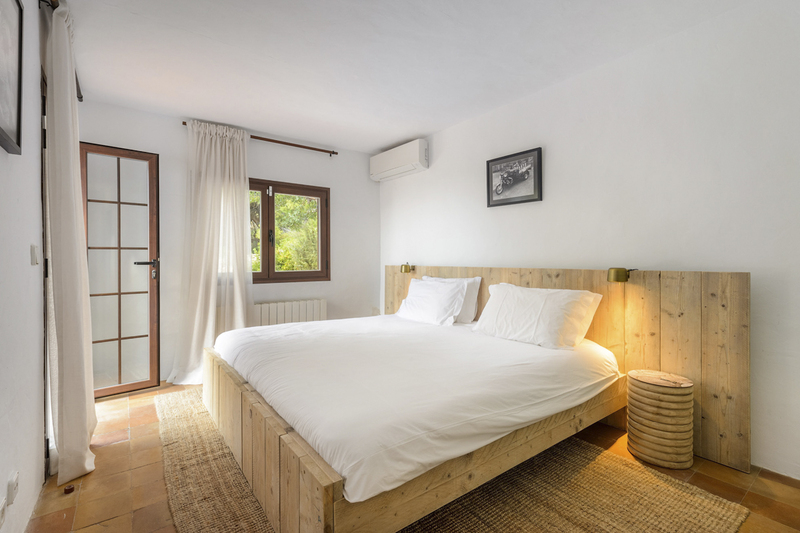 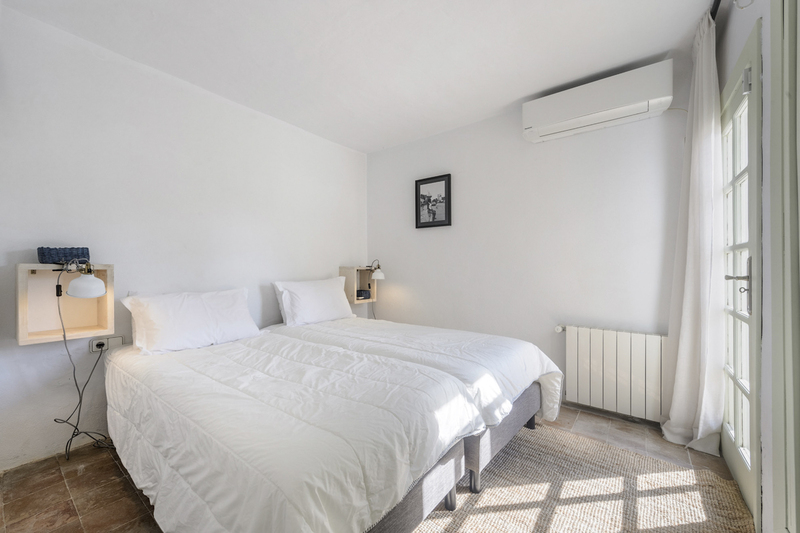 Casa Myla can comfortably accommodate up to eight guests across four well-appointed bedrooms, two are double rooms and two twins. 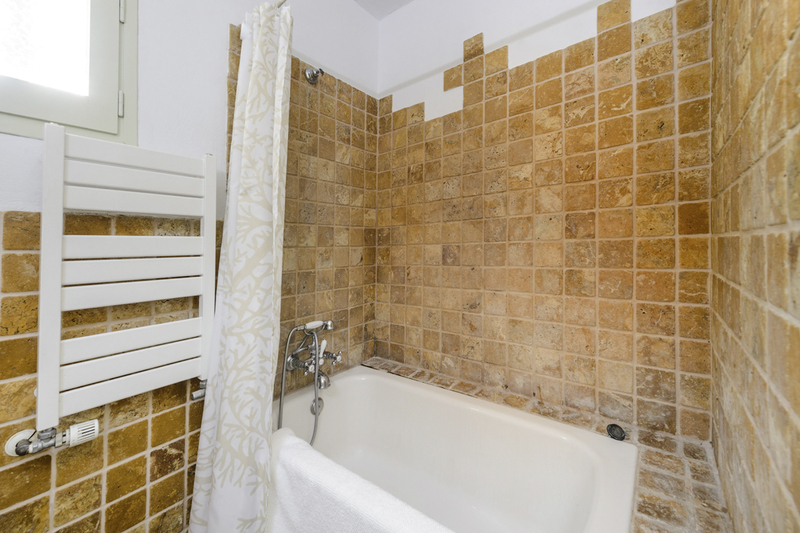 One of the double rooms boasts it’s very own en-suite shower room, while the remaining bedrooms share the use of a family bathroom. 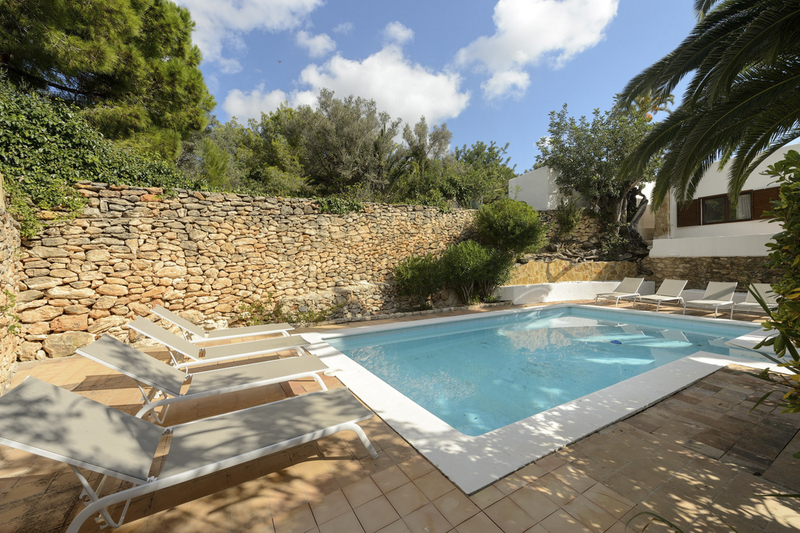 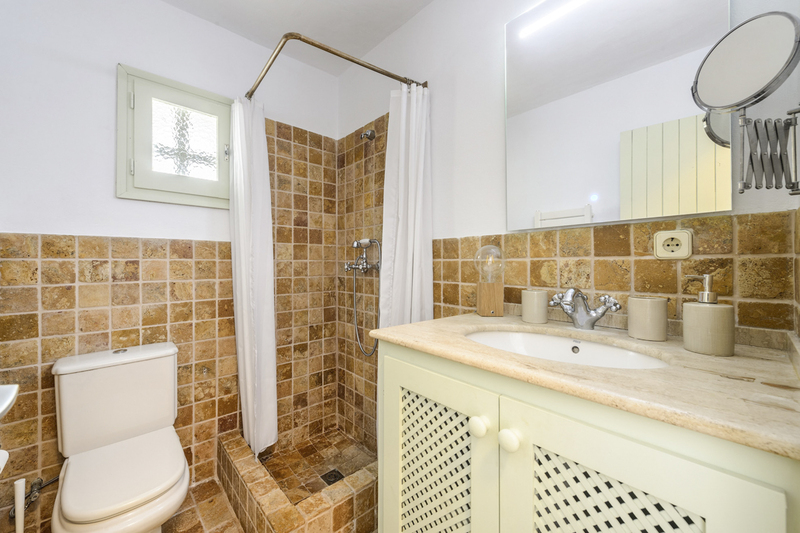 Outside, the gardens are completely walled and fenced giving guests of Casa Myla total privacy. 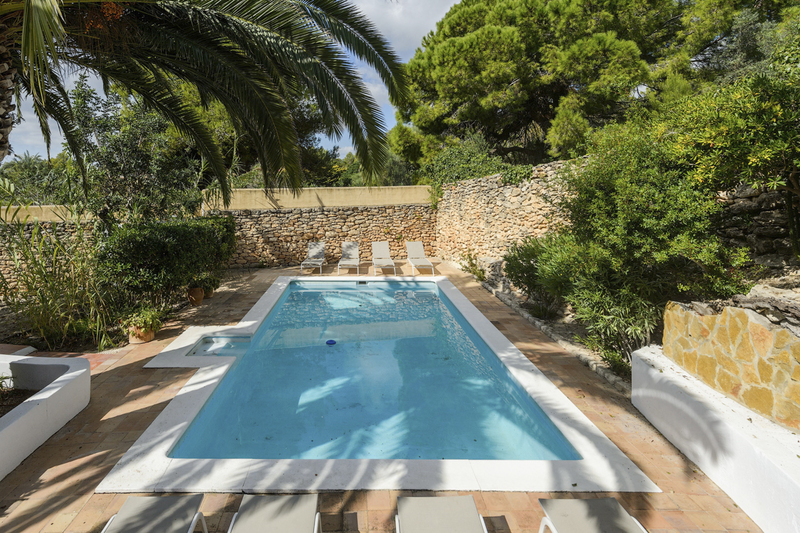 The children are bound to enjoy splashing around in the private pool, while the large terraces make the perfect place to enjoy dining al fresco on a warm Summer evening! 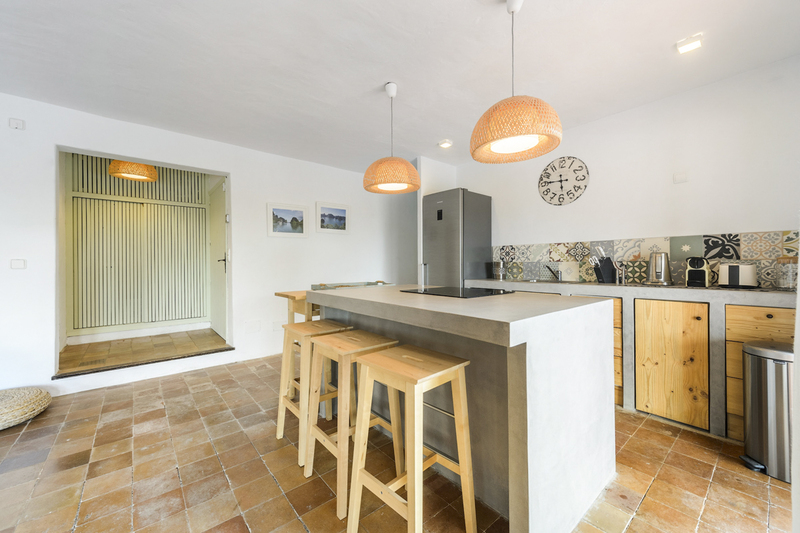 Casa Myla has a fantastic location in the residential area of Can Furnet, less than ten minutes from the village of Jesus, where helpful amenities such as shops and restaurants can be found. 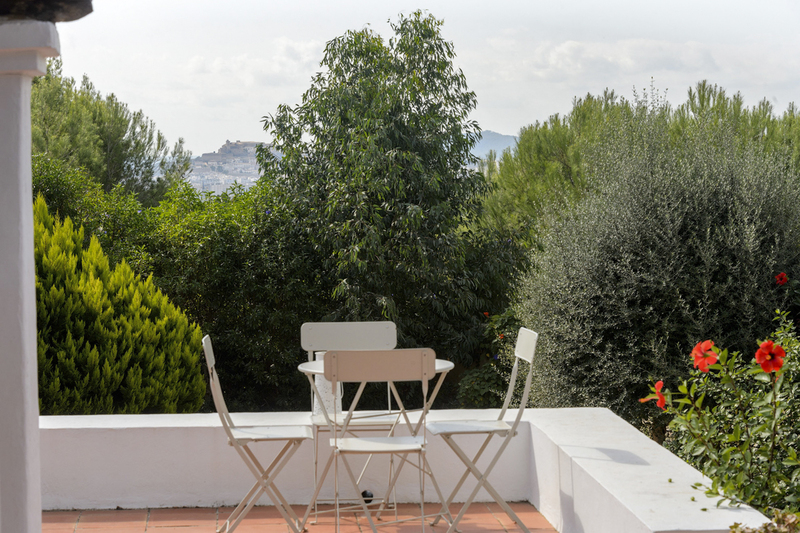 Ibiza Town itself with its excellent shops and restaurants is just fifteen minutes away, spend a day exploring Ibiza’s Dalt Vila (“high town”), a maze of cobbled streets, from the top you can enjoy wonderful views over Ibiza Town and out to Formentera in the distance. 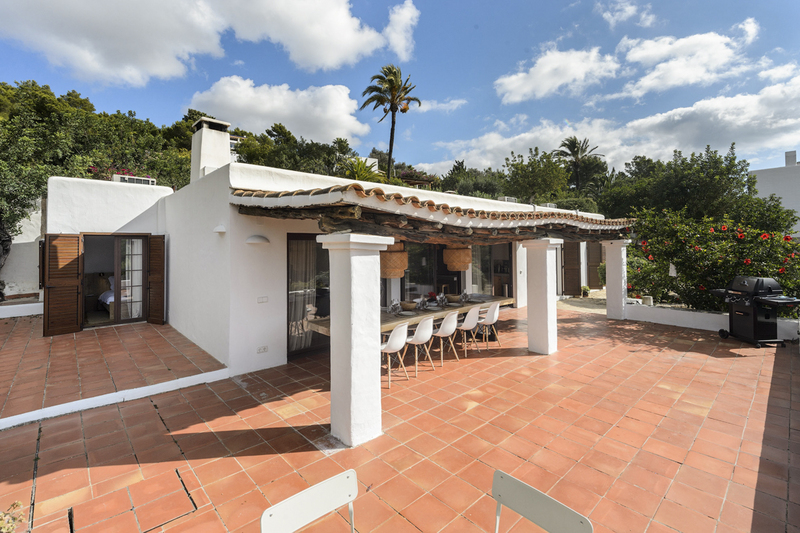 For beach bums, Talamanca with its white sands and shallow turquoise-coloured waters is perfect for families and just fifteen minutes away. 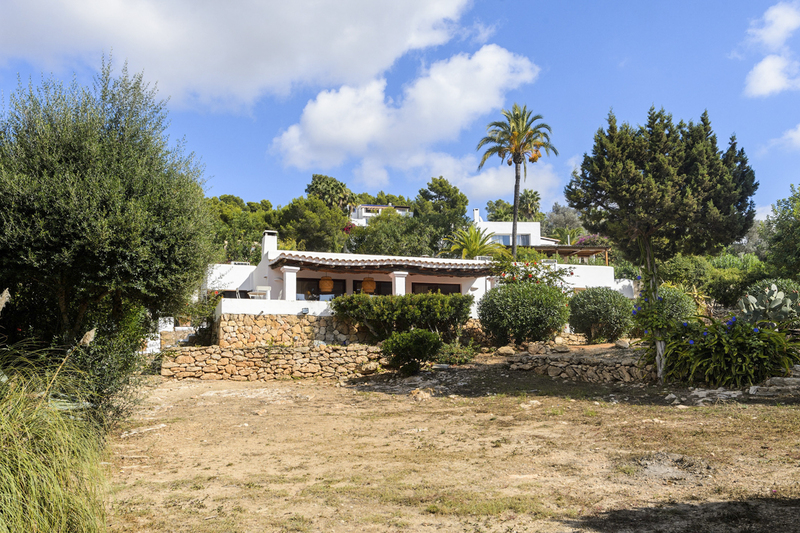 Ibiza Airport is less than twenty minutes away, making a short and easy transfer time for families with little ones.